Read the latest op-ed by Michele Simon and Elizabeth Kucinich at New Hope. If you love plant-based foods and are skilled and passionate about social media the Plant Based Foods Association wants you! Join our team as a volunteer social media coordinator for a few hours a week to research and share news and articles about delicious and innovative plant-based foods, while promoting our members and their activities. Please include why you are interested in helping us with our mission, your qualifications, and availability. The recently published global forecast for the dairy alternatives industry by the research firm MarketsandMarkets projects strong growth through 2020, furthering evidence of consumer preferences trending toward a plant-based diet. Here we summarize the key findings of the study. 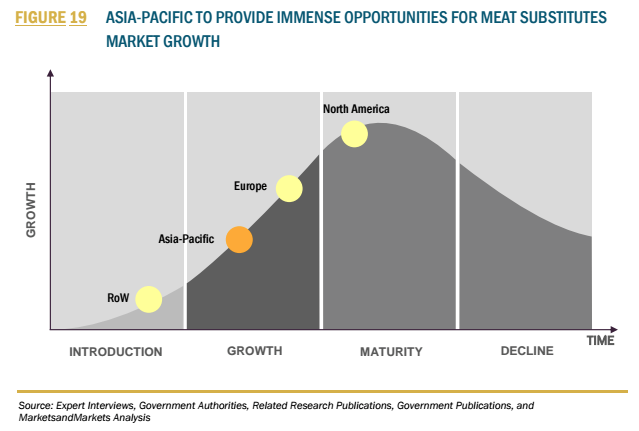 The MarketsandMarkets’ recently published study “Meat Substitutes Global Forecast through 2020” projects the exponential global growth of the meat substitutes industry. Here we offer a summary of the findings. We are excited to publish our first op-ed article in The Hill newspaper! It’s about a new study that found meat substitutes have 10 times less environmental impact than conventional meat, and yet our government policies are not in alignment with the science. You can read the article co-authored by Michele Simon and Elizabeth Kucinich here. 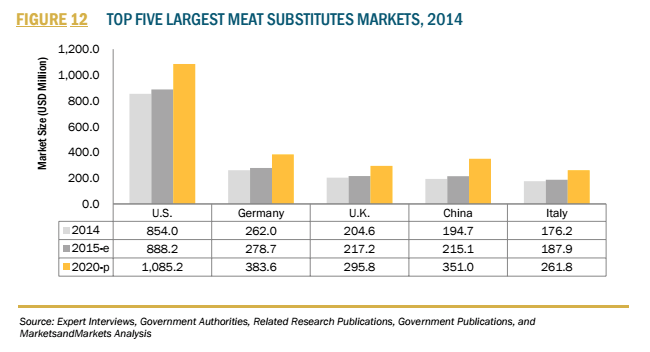 The global research firm MarketsandMarkets recently published its Meat Substitutes Global Forecast through 2020, concluding that the future is bright for the growing industry. We are happy to share this summary of the findings for the US market. 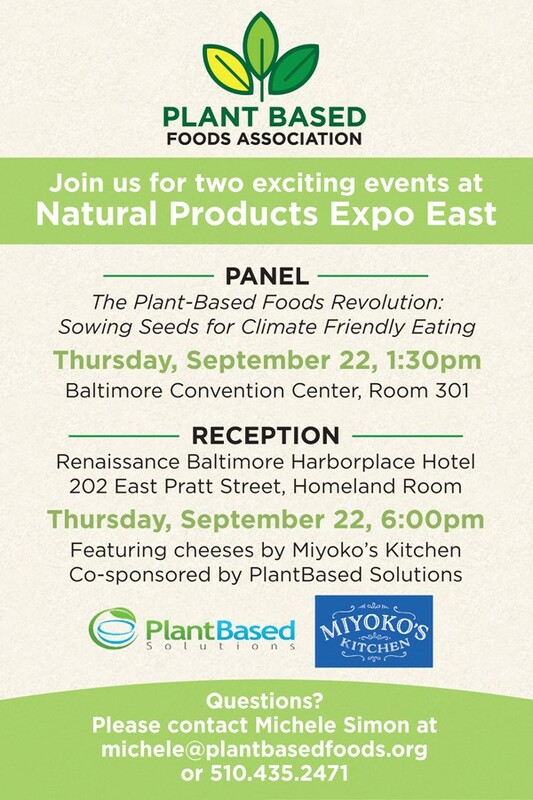 Want to help us #GrowPlantBased? New Plant Based Foods Association is seeking a highly organized administrative assistant to help maintain numerous functions, including membership records, financial information, fundraising, and related tasks. Must have working knowledge of QuickBooks online, ability to work efficiently and independently. Should be eager to work in a dynamic start-up, and mostly virtual environment for relatively low hourly pay. To start, about 10 hours per week for several months, depending on budget, potential for more. Must be located in San Francisco bay area – no exceptions. Commitment to mission a plus, sense of humor appreciated. Under-represented populations strongly encourage to apply. Email resume and brief cover letter to Maria Chan: mchan@miyokoskitchen.com. No calls or other emails.